Save the dates! May is National Bike Month and Provo will be celebrating the many benefits of bicycling! Whether you bike to work or school, ride to save money or time, pump those pedals to preserve your health or the environment, or simply to explore your community – you’re going to love the events and activities we’ve got planned. We’ve put together a month full of events and activities to celebrate the unique power of the bicycle and the many reasons we ride! Every Wednesday morning, we will meet at PBC, ride somewhere pretty, and eat snacks. PBC employee Jordan will provide something to share, like muffins or granola bars. Bring a snack for yourself or to share. Want to eat ice cream for breakfast next to a lake? Do it! Need an excuse to get out of bed and ride your bike? Do it! Come start your morning off right! Casual rides around town with varying routes and times. No racing, no spandex, just a good-old ride around the city. 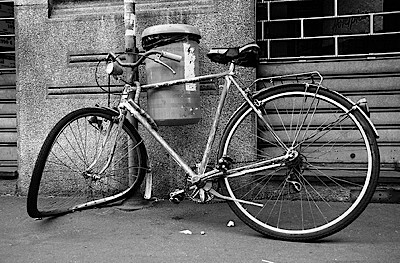 Ride your bike to Downtown Provo’s monthly Art Stroll to check out fantastic local artwork and shop at our fun and unique downtown businesses. Come ride your bike over for a bike-themed movie (TBD). Bring something cozy to sit on, some snacks, and your friends. Join a representative from Mad Dog Cycles for a cruise around town, stopping at many great restaurants along the way. Meet at Pioneer Park for departure. Anticipated stops include Provo Bakery, Ivie Juice Bar, Bianca’s La Petite, Peace on Earth Cafe, Fillings and Emulsions, and Hruska’s Kolaches. Youth Open Shop is an afterschool program designed to teach bicycle mechanics to youth ages 8-18. Youth can work on their own bike, work on bikes for giveaway, or earn a bike for themselves by first working on bikes for giveaway. Ever wanted to volunteer for Bicycle Collective? Come learn about Women’s Volunteer Night. You’ll meet ladies that are seeking to discover more about bicycle mechanics, or perhaps they’re just here for the fun community. Come ask us questions, maybe get your hands a little dirty. There will be snacks! Women’s Volunteer Night happens weekly from 5-7pm on Mondays. This program offers a safe and supportive learning environment for females to volunteer in the shop and learn about bicycle mechanics. 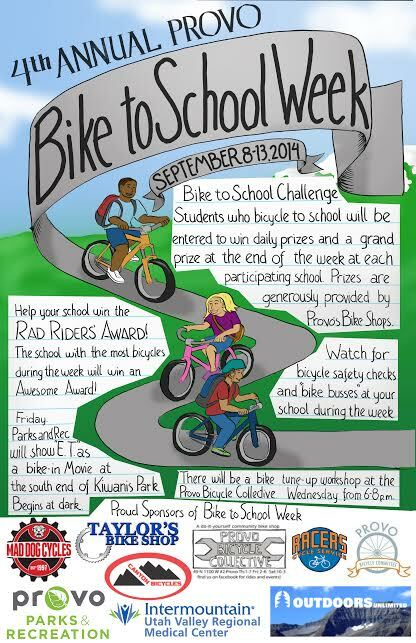 Come join other bike-loving families on a friendly bike ride exploring bikeways and parks. Fantastic family time, great socializing opportunity, fun workout, and very eco-friendly. This ride will meet every Tuesday at 10am at Joaquin Park and end at the 11am storytime at Provo Library. Move Utah, in partnership with the Wasatch Front Regional Council; the Utah Department of Transportation; Utah Transit Authority; Bike Utah; Jordan River Commission; Mountainland Association of Governments; Utah Department of Health; Utah Governor’s Office of Outdoor Recreation; and Davis, Salt Lake, Utah, and Weber counties, invites you to participate in a group bike ride and family-friendly event to celebrate the Golden Spoke trail network. The Golden Spoke consists of over 100 miles of safe and connected multiuse trails, including Ogden River Parkway, Denver and Rio Grande Western Rail Trail, Legacy Trail, Jordan River Trail, Murdock Canal Trail, and Provo River Parkway, and links Ogden and Provo. Every year in May, women around the globe band together on bikes to celebrate collective momentum. CycloFemme is a Global Celebration of Women created TO HONOR THE PAST from the shoulders of those who stood before us, for the freedom to choose and the chance to wear pants. TO CELEBRATE THE PRESENT with strength and courage, voices raised, moving together. TO EMPOWER THE FUTURE of women everywhere, the backbone of positive social change. Join the Provo chapter of the Worldwide Ride of Silence on May 16th to ride to honor people who were killed or injured while biking this last year and last several years. We will begin at Dixon Middle School and go for a short, slow, silent ride with brief stops at the ghost bike memorials for Doug Crow and Mark Robinson, and return to Dixon Middle School where we will have light refreshments. Pull those kids bikes out of your garage and pedal on over to Bike Month’s best event for kids. Join us for arts and crafts, games, and free food! FFUFR stands for Fun, Fun Underground Forest Race. Yes, it’s that fun! This event consists of a ridiculous race through the forest and streams at Paul Ream Wilderness Park. Bikes will be provided. Please bring your helmet and a side to share for the BBQ! All ages and abilities are welcome, racing is not required; you can just watch if you’d like! Meet at the park at 6pm. Get out of the city and into the mountains by pedal power. 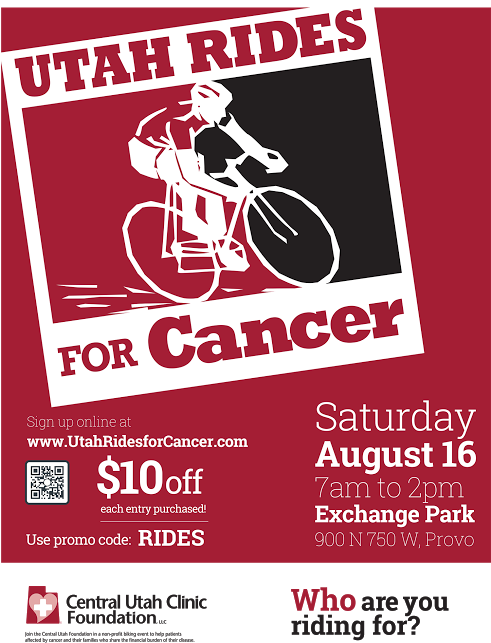 Join PBC staff as we cruise the Provo River Trail up to Nunn’s Park to camp. Bring your loved ones or meet some new friends around the campfire! All ages are welcome. Registration fee includes campsite fee, campfire wood, and s’mores. Campers will need to bring their own sleeping arrangements (hammock, tent, sleeping bag, etc. ), food, water, and some warm clothing for the night. 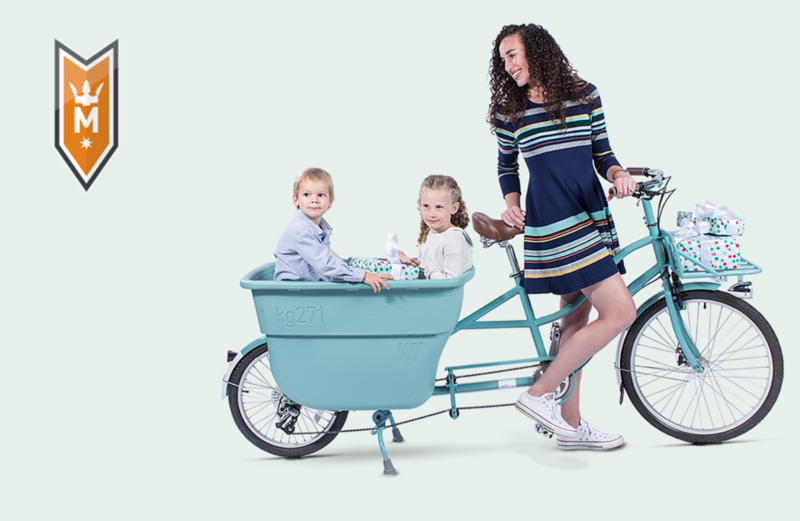 If you do not have racks or bags to carry your gear on your bike, we’ll have a bike trailer that can carry up to 100lbs of gear and will happily shuttle your stuff. 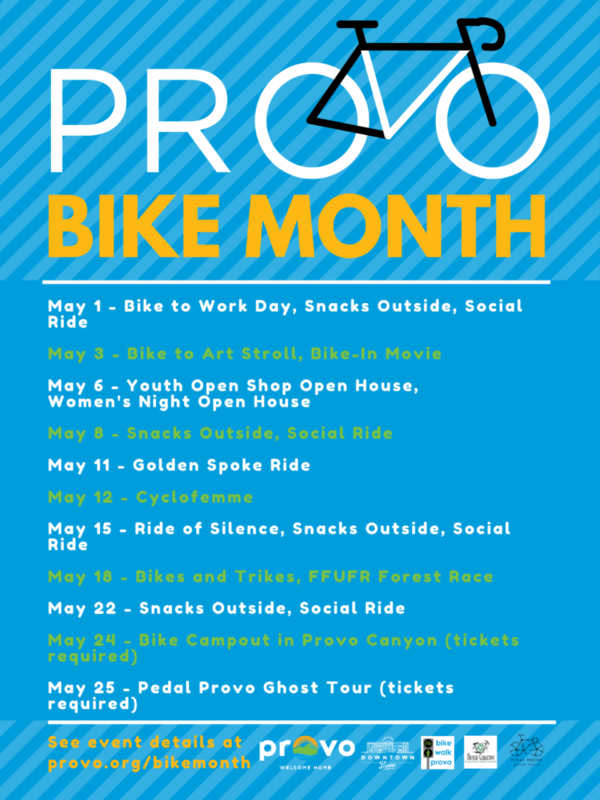 Pedal Provo Ghost Tours is holding a very special tour in celebration of Provo Bike Month! Tickets are required to come on this ride so please visit their website for more info and to claim your spot! “Bike mechanics has traditionally been a male-dominated trade. Let’s change that. 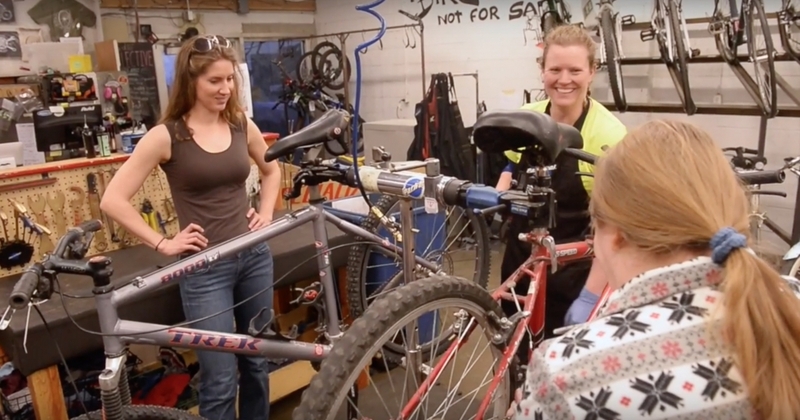 Women’s volunteer hours are designed to create a safe and inclusive space for learning bike mechanics. 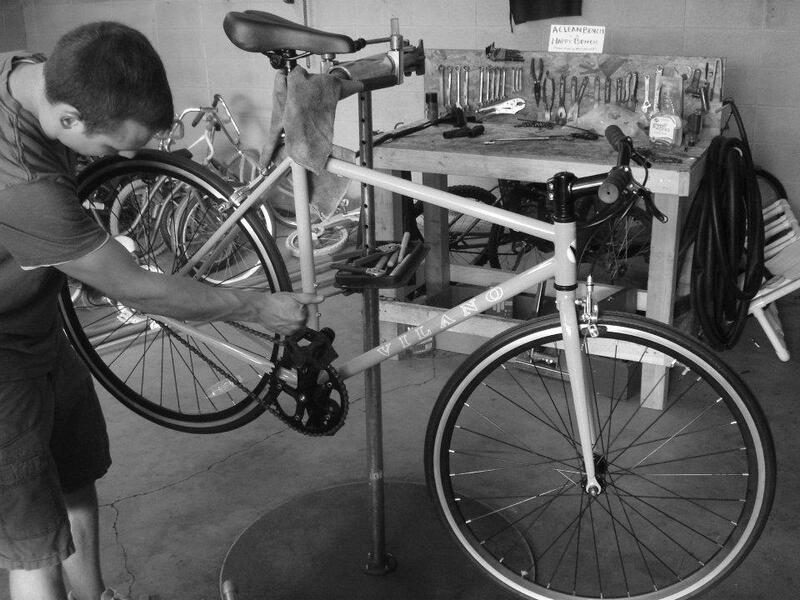 All bicycles repaired by volunteers are given away to people who couldn’t otherwise afford one, giving independent transportation to those who need it most. Our goal in creating this program will be reached if women feel included in our volunteer program. We invite all women and other female-identifying people to join us during these volunteer hours to repair bikes for those in need. We need your help! Current volunteer hours for this program are Mondays from 4pm to 7pm. Drop in anytime during those hours to join. May is National Bike Month and Provo is celebrating the many benefits of bicycling! Check out the full list of events and details on the Mayor’s blog. Come Learn to Fix Your Bike! The Provo Bicycle Collective is hosting their second Basic Bicycle Maintenance Class of the year! Now’s a perfect time to pull your bike out of the garage and make sure it’s running before spring hits! 5$ gets you into the class. 2$ patch kits will also be available and hot chocolate is free! Check out the event on facebook or just show up! E-mail us at provobicyclecollective@gmail.com if you have questions. Bring your friends and we’ll see you there! Bring your friends to the Provo Bicycle Collective to learn the basics of bicycle maintenance on Thursday January 30th at 7pm! The class costs 5$ and hot chocolate will be included! 3rd Annual Glo-in-the-Dark Halloween Bike Ride! 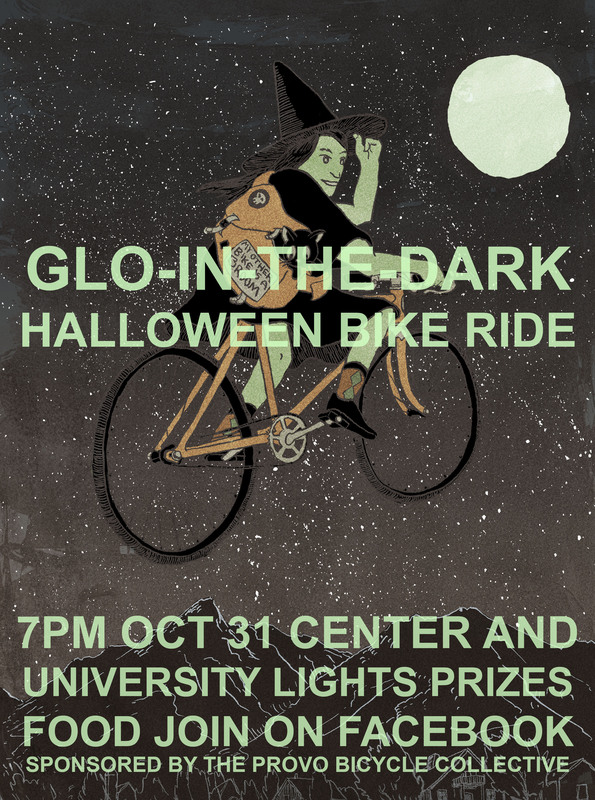 Join lots of costumed cyclists this Thursday at 7pm for the Provo Bicycle Collective‘s 3rd Annual Glo-in-the-Dark Halloween Bike ride! Decorate your bike with lights and ride around Provo for about an hour, then enjoy hot chocolate and treats at the Collective’s Community Bike Shop on 1100 W 49 N. The ride starts at University Ave and Center st and Glo-sticks will be available for a small donation. There will be prizes for best lit bicycle and best costume! You can check out the details on facebook. If you aren’t familiar with the Provo Bicycle Collective, check out our previous post. They are entering the toughest season of the year financially and appreciate your support! All donations will go towards keeping their doors open and serving the community! Last month Sam and I decided to move to our new apartment without the aid of motorized vehicles. We recruited friends and wrangled together every cargo bike we could find and were able to move everything rather easily. We should have found someone to take more pictures and film footage, but everyone was busy lifting and riding, so you’re stuck watching the few amateur videos I took. I hope you enjoy it, and remember that everything is better on a bike!